I am interested in the act of drawing as a metaphor for memory. 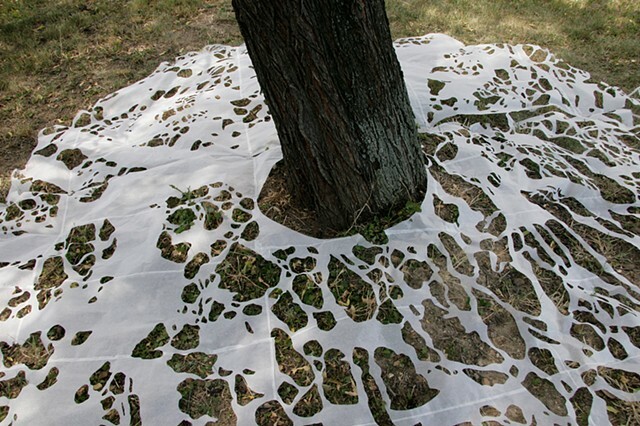 In the Lacework series, I have been making lace patterns by tracing the shadows of trees. I began this work during a recent artist residency in Hungary, and have since been tracing shadows at Harvards Arnold Arboretum. As I sit down to draw the shadows, they are constantly shifting and in the course of the hour or two that it may take to capture a trees single shadow, numerous slips and shifts have occurred. I am interested in this process of attempting to capture something that is ultimately ephemeral, and what it means to work with memory, time and place.